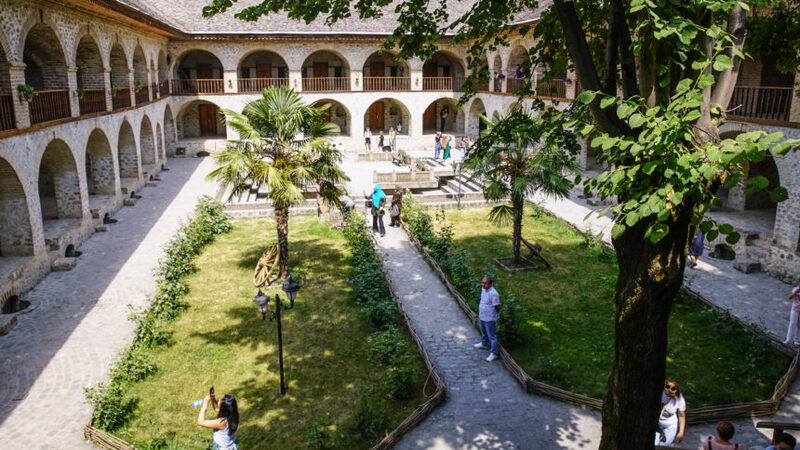 Want to explore the hidden gems of Caucasus? We invite you our 11 days Azerbaijan- Georgia tour. In this tour, you will find everything you need- breathtaking nature and landscape of Great Caucasian Mountains, rich and diverse culture, ancient monuments, modern cities, hospitable people and delicious dishes. Meet by our driver at airport with meeting board. Transfer to the city. Hotel accommodation. Today the wonder Baku is called a chameleon city – its appearance changes almost every hour. Especially at night: the darker on the street, the more lights. Overnight in Baku. Our tour starts from the highest pick of the city named Highland Park for amazing city panorama and photo stop. The park is located in the center of Baku. It is one of the most popular places of the local residents and tourists. The most unique side of the park and the reason why it is actually, called the “Highland Park” is its impressive panorama looking over Baku city, Baku bay and Baku Boulevard stretching along the Caspian sea. 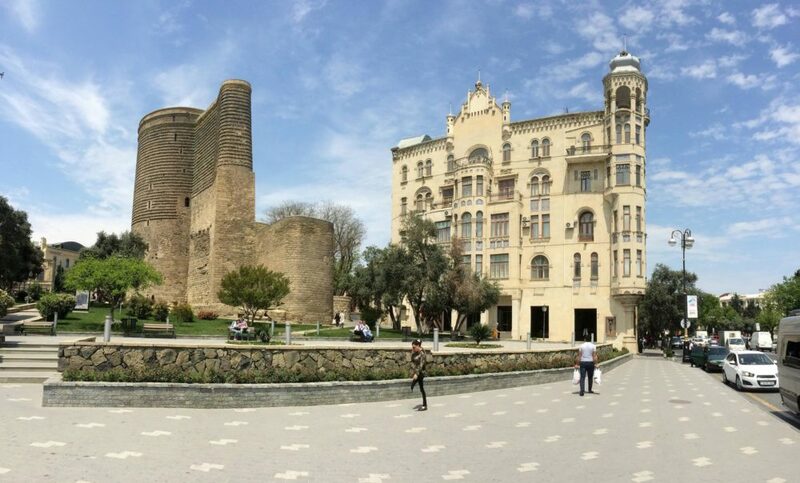 Continue to Nizami Street, which was the main trade street of Baku for decades, now one of the favourite places of tourists and local people for shopping and entertainment activities. The sound of the water is taking you away- now you are at the Fountains’ Square of Baku. Tens of fountains all around are creating breath-taking ambiance. Next pass by the Carpet Museum, a structure built in the shape of a carpet. And now, you are walking along one of the longest boulevards in the world, which runs parallel to Baku’s seafront more than 3,5 km. Our last stop is “Heydar Aliyev Center”- a building complex designed by Iraqi-British architect Zaha Hadid. The building is very distinctive for its unique architectural design and flowing, curved style that eschews sharp angles. In 2014, the Center won the Design Museum’s Design of the Year Award. This made Zaha Hadid the first woman to win the top prize in that competition. 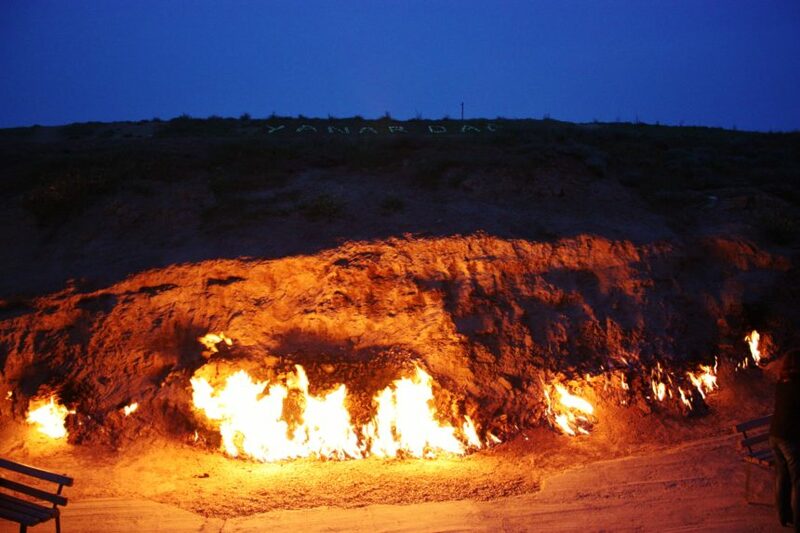 We will start our tour by visiting Yanar Dag– one of the most famous and popular tourist places of the “eternal flame” in Azerbaijan is the mountain of Yanar Dag. It is located 25 km to the north from Baku, in Mehemmedi village. A 10m long wall of fire, that never extinguishes, is burning continuously alongside the edge of the hill, which naturally is at its most spectacular at night when tourists and locals alike view the fire from a nearby teahouse. Then, we will continue to other Zoroastrian site of Absheron called Ateshgakh. This fire temple, with a mixture of Indian and Azerbaijani architectural styles, is a surviving proof of age-old relationship between the two countries. There are still some wall inscriptions in Sanskrit and Gurumukhi, including poems. Cells for pilgrims line the wall inside and surround the main altar in the centre of the temple – a quadrangular pavilion with the fire on the altar inside. After the Ateshgakh, we will continue our tour to forty km from Baku, to Gala– a well-known open-air historical and ethnographic museum. Here, you can see how the Azerbaijani lived, what they ate and drank and how they managed a household over the period from the XVI to XIX centuries. Rise and shine to a beautiful morning and enjoy a delicious breakfast buffet. After breakfast, we will continue our Azerbaijan- Georgia tour. At 10. am our driver and guide will be waiting you in hotel lobby. Check out and leave the hotel for Gabala. It is approximately 3.5 hours drive to Gabala from Baku, but our journey will take longer as we will stop in many sights on the way. Our first stop is Diri Baba Mausoleum in Maraza city. 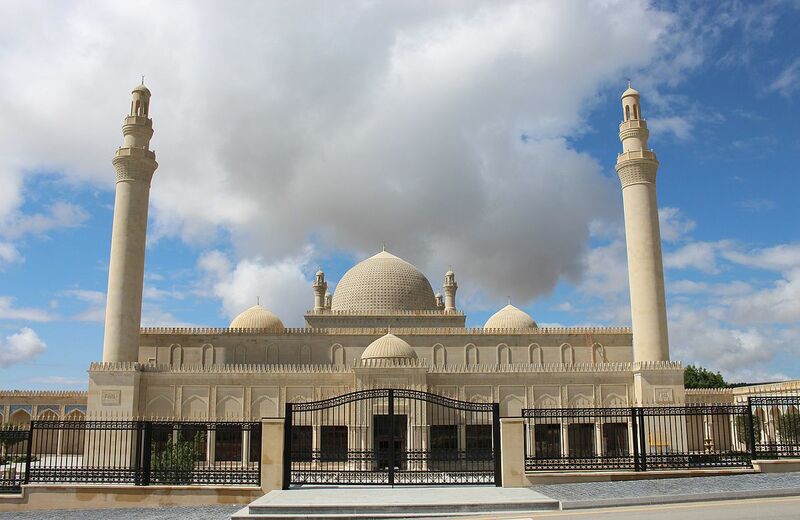 The building of the mausoleum is a wonderful example of Shirvan architectural school. On the building itself the construction date is mentioned as 1402 and architect’s name as “…the son of ustad Haji”. There are still many legends connected to this place. For a long time, local people believed that a sacred person- called Diribaba was buried here and remained imperishable across the centuries. After spending about an hour in Lahij, we will continue the drive to Gabala city. Upon arrival at the hotel, you will check in and have one hour rest before visiting Qabaland Amusement Park which never fails to amaze its visitors. 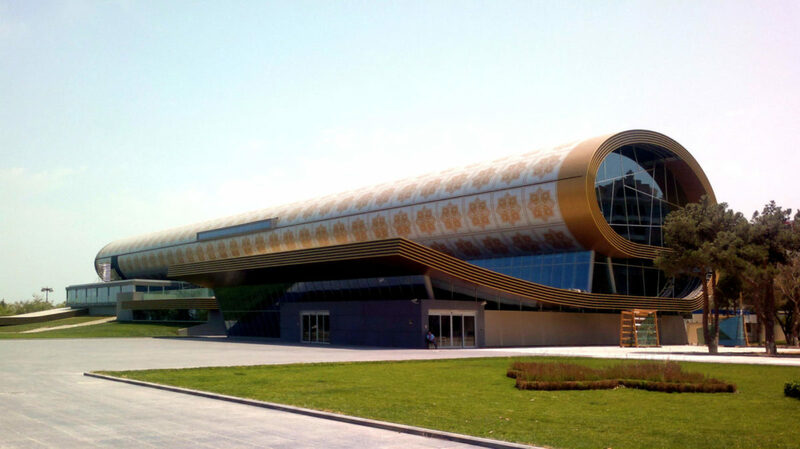 It’s not quite Disneyland, but Azerbaijan’s first theme park is a godsend for local families and has something for all ages. 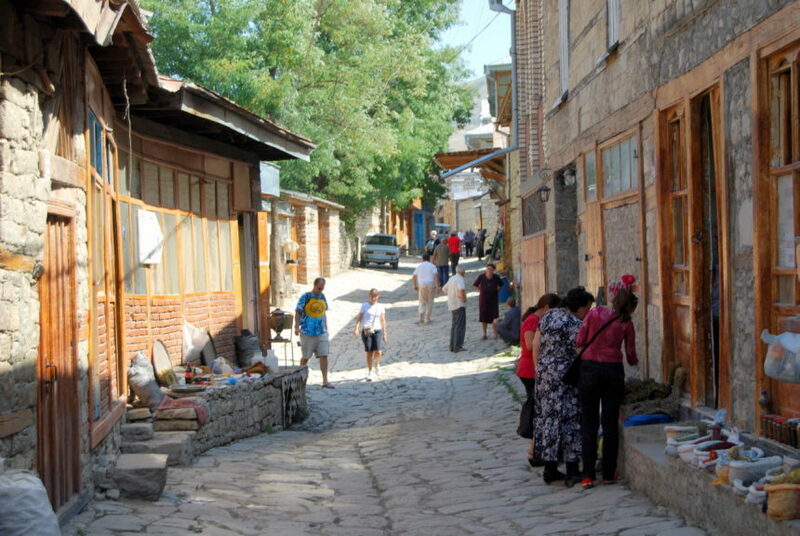 Continue to Shamakhi- one of the oldest cities of Caucasus to have a sightseeing tour around city. After Shamakhy, we will continue to Qabala. On the way we will visit Lahij village. It is a small mountain village with more 2000 people. During the Middle ages, it was one of the the main centres of craftsmen in Caucasus. Here you will explore a lifestyle of local inhabitants and learn about the history this mysterious village. After breakfast, we will check out from the hotel. Today, we will start our day by exploring the ancient capital of Caucasian Albania- Gabala and its surrounding. Firstly, we will drive to Tufandag, to climb to the highest elevated mountain resort in Azerbaijan to take a freshness of Caucasian Mountains. From here, you can watch the incredible panorama of Caucasian mountains. Then, we will have time to visit the ancient part of the city for the ruins of the Kabalaka city. After exploring Qabala castle and enjoying its incredible sights, drive to Nij village. 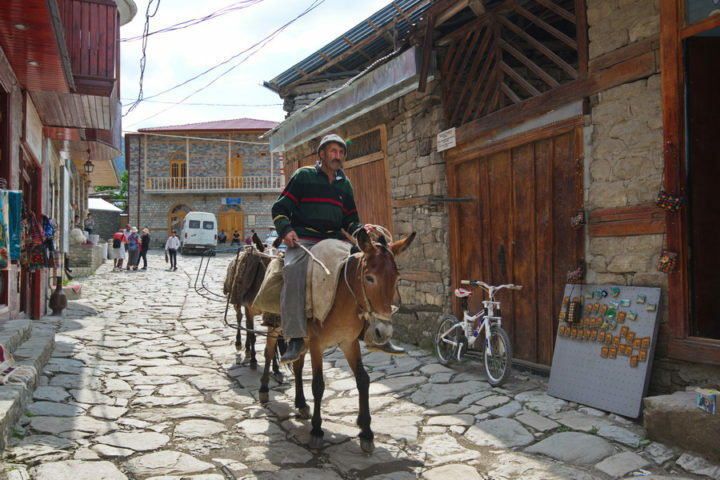 Nij – is the home of a special ethnic group among the Azerbaijani nationalities Udin. They have managed to preserve their traditions, language and spiritual culture. Later, visit to the Alban Temple, which is open to parishioners and tourists. 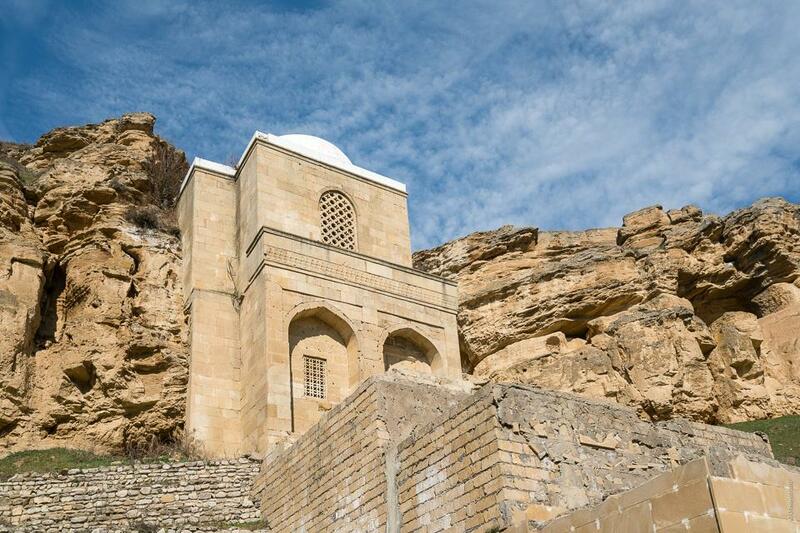 This is one of the most ancient monuments of Christianity in Azerbaijan. Then drive to Shaki through beautiful landscape. Shaki city – one of the loveliest towns of Azerbaijan, dappled with tiled-roof old houses and topped off with a glittering little khan’s palace. Upon your arrival, you will have an excursion around the city. 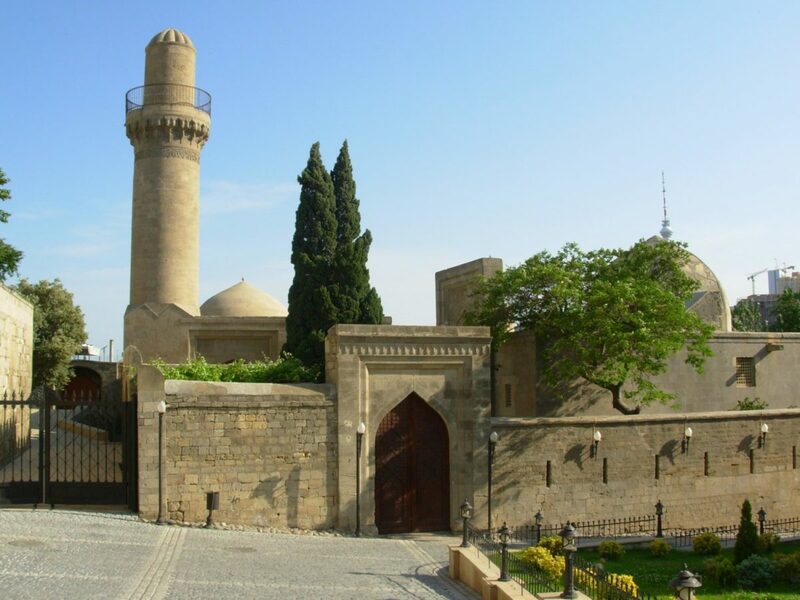 Visit to Palace of Shaki Khans which is the most outstanding and valuable monument of the 18th century Azerbaijan. Also, we will visit the resort zone Markhal. Dinner and overnight in Hotel. Breakfast. Drive to visit the local market and then continue the way to the Georgia- Azerbaijan border. After some border formalities, we will meet with local Georgian driver and guide to continue the trip to Georgia. Upon passing to Georgia, we will start exploring Kakheti region famous for its wine producing. During the drive, you will enjoy the breath-taking landscape of Great Caucasus Mountains and valleys of Kakheti. You will also learn about the traditions and culture of the country and region, taste wines and delicious food. We visit one of the 19th century Georgian duke’s palaces in Tsinan Dali and enjoy walking in the beautiful garden. Later, our excursion will continue with the visit to the wine museum to taste different kinds of red and white wines. Overnight in Telavi. Breakfast. Drive to Gudauri. On the way some stops to explore and visits. Visit to Alaverdi Cathedral (XI c), then continue to Gremi architectural complex (XVI c) and afterwards take the way via Gombori to the ancient capital and religious center of Georgia. In Mtskheta visit to the Jvari Monastery and Svetitskhoveli Cathedral. Both are an UNESCO World Heritage sites. Future you will head for the mountain resort of Gudauri, en route visiting Ananuri architectural complex (XI-XVII cc) through scenic as it heads up into the Great Caucasus mountains. Overnight in Gudauri. Breakfast. Today you will take a stunning route from Gudauri along the Tergi River will bring you to Kazbegi – the main town in the region. From Kazbegi a leisurely 1.5 or 2 hours walk up through beautiful valleys and woodland leads you to Gergeti Trinity Church, which is located at 2170m. 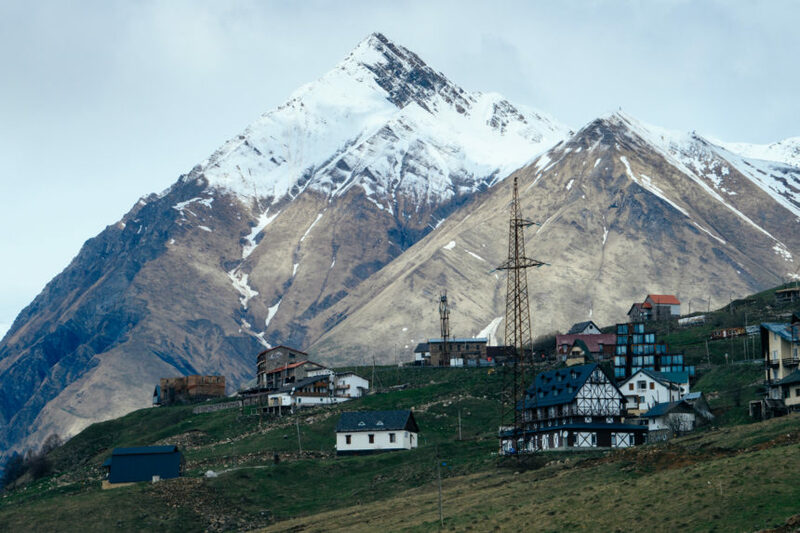 Weather permitting you may catch a glimpse of one of the highest glaciers in the Caucasus Mt Kazbegi (5047 m). Then return by the same route back to drive to Gori city. On the way visit to Uflistsikhe the oldest cave town in Georgia (II-I millennium B.C), Gori city and Stalin’s House Museum. In the evening visit to the wine cellar of family in Gori, tasting of Georgian wine and Chacha, with the Georgian traditional dishes. Overnight in Gori. After breakfast. Drive to Borjomi. Arrive to the Borjomi National park – Covering more than 85,000 hectares of native forest and alpine meadows, the Borjomi-Kharagauli National Park is a protected area located 160 kilometres from the nation’s capital of Tbilisi in the central part of Georgia that includes 3 regions: Imereti, Samtskhe-Javakheti and Shida Kartli. 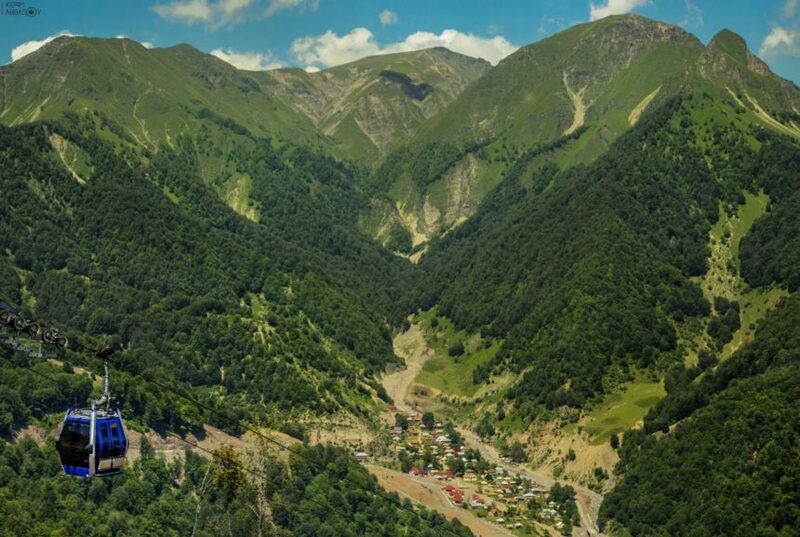 One of the largest national parks in Georgia, it includes six administrative districts stretching from the resort of Borjomi to the town of Kharagauli. Together with adjacent Borjomi Nature Reserve, the total area is 851 square kilometres, more than 1 percent of the total territory of Georgia. 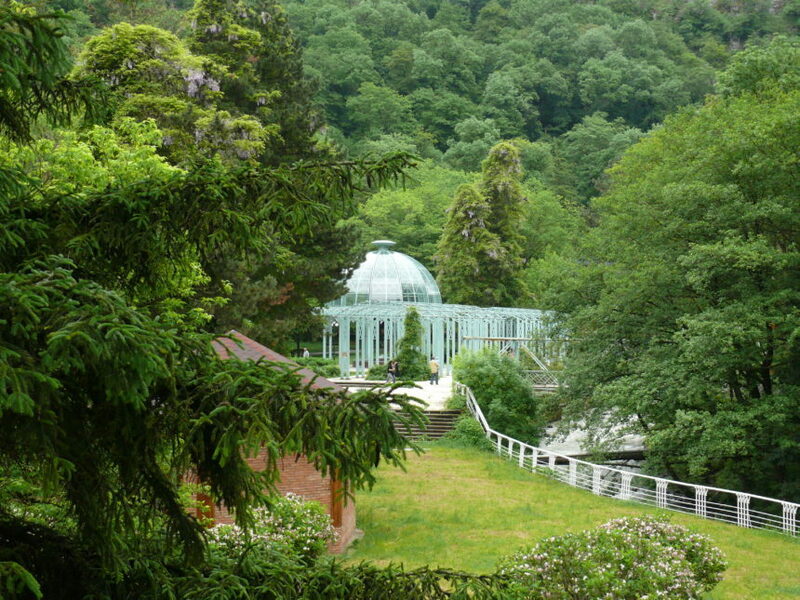 The administrative and visitors centres of the Park are located in Borjomi and Kharagauli. After enjoying the nature and visiting we will drive to Tbilisi. Transfer to the hotel. Accommodation. Overnight. Breakfast at hotel. 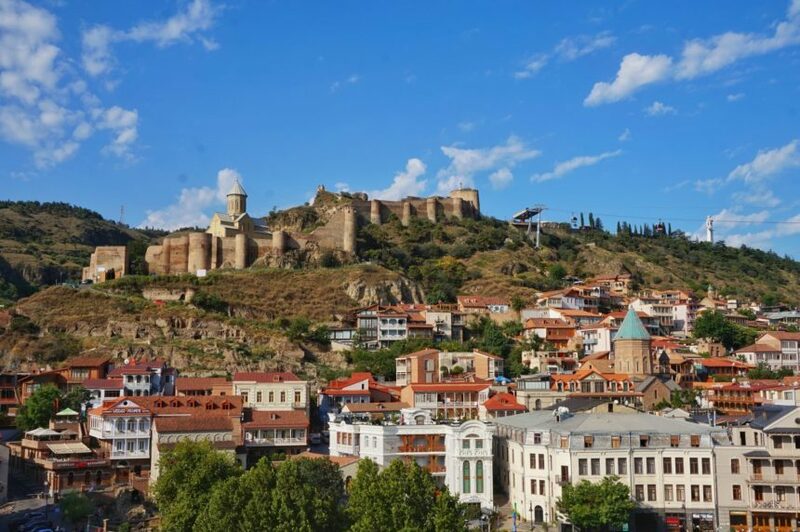 Today, we will have Tbilisi sightseeing tour. The city offers a great variety of sights, most of them very ancient. All the places of interest in the Old Town are very close to each other, within a few minutes – walk. 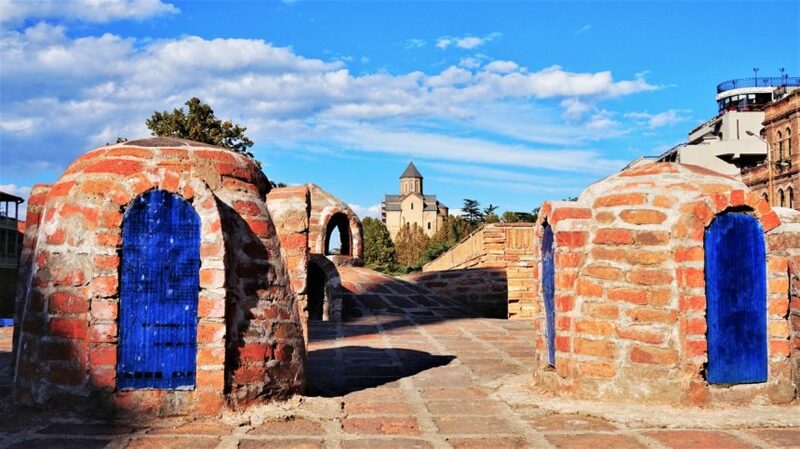 We start our visit to Old Tbilisi from Metekhi Church, then walk up to the brick-domed Sulphur Baths. 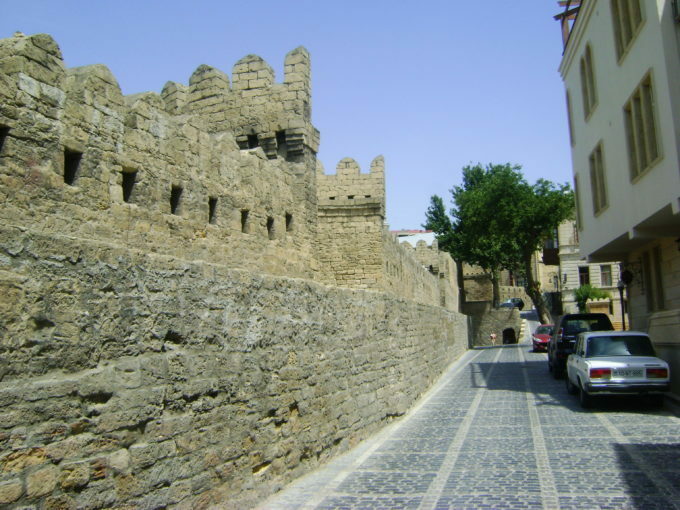 Later, from the Baths we head up the hill to visit Narikala Fortress – one of the oldest fortifications in the city. Afterwards we continue to the Synagogue, Sioni Cathedral and Anchiskhati Church. This marks the end of the Old Town. Visit the stunning treasury of the Georgian National Art Museum, before taking a stroll along Rustaveli Avenue – the main street in Tbilisi. After sightseeing you will have free time. Overnight in the hotel. Breakfast at hotel. Unfortunately, our Azerbaijan- Georgia tour will end today. Treasure the lovely memories gathered here with your fellow travellers as you depart to the airport for your return flight.